On Wednesday, the day after senior Defense Department officials testified in front of the House Armed Services Committee about the administration’s decision to send active-duty troops to the southern border, the Pentagon announced that it would be deploying an additional 2,000 or so troops, at a cost of hundreds of millions of dollars over the course of the current fiscal year. During Tuesday’s hearing, Armed Services Committee Chair Adam Smith expressed skepticism over whether the deployment was “an appropriate use of the military’s time and resources,” and later criticized the Pentagon for not having revealed that they were planning to deploy more troops. House Homeland Security Committee Chair Bennie Thompson also vented his frustration with the administration, specifically with Homeland Security Secretary Kirstjen Nielsen declining his request for her to testify about border security. 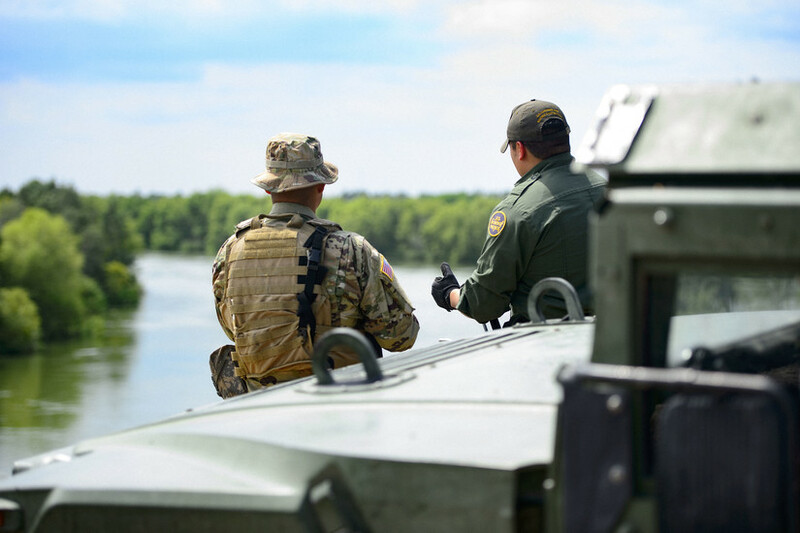 President Donald Trump sent more than 5,000 troops to the border in October, just before the midterm elections, in a move heavily criticized by Democrats as a political stunt to manufacture a security crisis. At the time, a “caravan” of Central American migrants was slowly making its way through Mexico. In late November, border agents fired tear gas on a crowd of migrants, including children, less than a week after Trump had authorized the use of “lethal force” if necessary. American Oversight launched an investigation of the troop deployment in December, and filed Freedom of Information Act requests to multiple federal agencies for more information about the use of tear gas and about any decision to politicize the caravan. American Oversight has multiple ongoing FOIA requests regarding Nielsen’s misleading statements about immigration and terrorism, and this week we filed new requests about the government’s recent implementation of a new policy called Migrant Protection Protocols. The policy requires migrants seeking asylum to wait in Mexico while their requests process, but Vox has reported that the process skips the asylum screening interview and gives the applicant a notice to appear before an immigration judge, after which they’ll have to wait in Mexico again. We have sent FOIA requests to DHS to learn more about this policy’s coordination and implementation. Just before former Interior Secretary Ryan Zinke’s left office, the department published a proposed rule that would threaten accountability and reduce transparency. Administration officials have defended the new regulation as reducing the workload of its FOIA officers, but the proposed changes are contrary to and undermine the Freedom of Information Act. American Oversight and another watchdog group, Democracy Forward, submitted a formal comment on the proposed regulation, arguing that instead of devoting more resources to FOIA, the agency is choosing to duck accountability. Plus, the official who issued the rule likely doesn’t have the authority to do so. You can read more here. American Oversight has begun investigating the fallout from the longest-ever government shutdown, which ended last week after a shortage of air traffic controllers halted flights into New York’s LaGuardia Airport. We filed FOIA requests for records of communications the Federal Aviation Administration, the Department of Transportation, or the Office of Management and Budget had with the White House regarding the shutdown’s effect on flights, as well as communications with aviation industry groups, to determine whether political considerations were involved in the decision to restrict flight plans. Trump still wants his border wall — despite his forcing a shutdown to get it largely being considered a failure — and so does his political base. In December, a veteran and motivational speaker named Brian Kolfage launched a viral campaign to pay for the wall through GoFundMe contributions. Kolfage first claimed that he had senior administration contacts who would help ensure the money went to the right place, but has since decided that the money would go to private construction. American Oversight has requested any communications that top officials at DHS, Customs and Border Protection, or OMB have had with Kolfage. In early January, Trump threatened in a tweet to withhold funding from California for wildfire management “unless they get their act together,” suggesting, as he had in previous tweets and as former Secretary Zinke had also claimed, that the devastating wildfires were caused or made worse by environmental laws. We filed new FOIA requests this week with DHS, DOI, and the Department of Agriculture for records that can shed light on how officials responded to the administration’s erroneous statements about wildfires. During is his June 2018 confirmation hearing, senators questioned Veterans Affairs Secretary Robert Wilkie about remarks he had made at a pro-Confederate event in 2009. Wilkie claimed that he was merely introducing a speaker, but his spokesman contradicted this characterization when he confirmed to CNN in December that Wilkie had actually given a speech praising Robert E. Lee. Wilkie also failed to disclose other similar speeches he’d made over the years, as well as his associations with various pro-Confederate groups. Given the millions of dollars spent under Wilkie’s leadership guarding Confederate cemeteries, we’re asking for his communications with groups like the Sons of Confederate Veterans and League of the South to find out what sort of influence they may have on VA policy. American Oversight filed a lawsuit against DOJ to obtain emails of Acting Assistant Attorney General John Gore. Under Gore, the Civil Rights Division has shifted its focus away from groups it has traditionally sought to protect, such as African Americans, LGBT people, immigrants, and other minorities. Gore also appears to have ghostwritten a letter to the Census Bureau advocating for the inclusion of citizenship question on the 2020 census. We want to know what sort of communications he’s had with outside groups that may have influenced these policy changes. Former United Nations Ambassador Nikki Haley was in the news this week, with reports that she is charging hundreds of thousands of dollars for speaking engagements. We obtained and published her calendars from 2017, which show calls or meetings with former National Security Adviser Michael Flynn seven times during his brief 24-day stint in office. We’re still investigating Trump’s involvement in the decision to scrap plans to relocate the FBI headquarters from its current location in Washington, D.C., just a block away from his namesake hotel. In response to our request for documents related to a January 2018 White House meeting that was likely about the project, the General Services Administration has informed American Oversight that is withholding in full 52 pages of responsive documents. Rep. Jackie Speier, who sits on the House Intelligence Committee, wants to know more about Treasury Secretary Steven Mnuchin’s business dealings with a billionaire tied to Russian oligarch Oleg Deripaska and whether Mnuchin had a conflict of interest in the fight over Russian sanctions. Our FOIAs and litigation uncovered Mnuchin’s calendars from 2017, which show multiple visits to the Trump International Hotel, as well as a meeting with former Trump campaign aide Rick Gates, who is cooperating with the Mueller investigation.